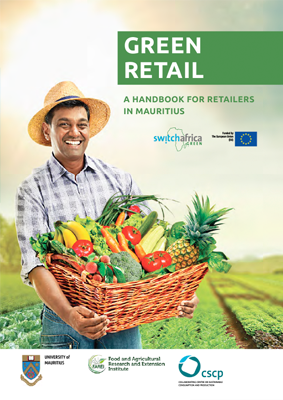 This handbook targets retailer companies in Mauritius which sell FFV who are willing to assess sustainability risks and opportunities, instil green practices in their supply chains and engage consumers for more sustainable lifestyles. Retailers are in a powerful position to influence patterns of Sustainable Consumption and Production (SCP) and improve their market position through sustainability activities. Furthermore, they can play a vital role in motivating the adoption of GAP (Good Agricultural Practices) by their suppliers and influencing sustainable consumption patterns with their customers. The tools provided will support retailers in Mauritius on their journey towards more sustainable business practices.